Add one of these tropical flowers to your arrangements to give a bouquet or centrepiece an exotic look you can’t find anywhere else. You've done daisies. You’re tired of roses. Carnations just don’t cut it anymore. 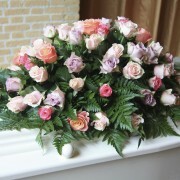 You want to add an element of the tropics to your flower arrangement, but don’t know where to start. Well, the first step is familiarizing yourself with tropical flowers. These brightly coloured flowers look a lot like a bird in flight, hence the name. They are native to South Africa and represent joyfulness and paradise. 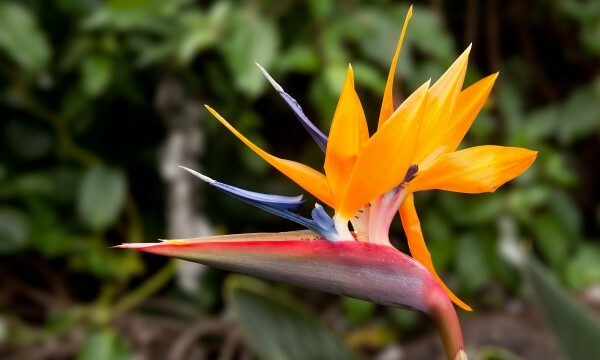 This flower is also the ninth wedding anniversary flower, so if you can’t take your spouse somewhere exotic, try adding a few of these to the anniversary bouquet for a tropical touch. They drove Meryl Streep crazy in Adaptation, so why not crazy up your home with this tropical plant? 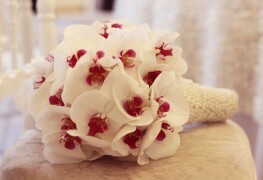 An orchid plant can live for months and makes a real statement in your home. 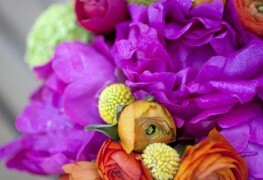 These flowers are exotic, delicate, and represent luxury, beauty and strength—much like Meryl Streep. Native to the tropical regions of Africa and southern Asia, these delicate flowers can be grown as houseplants for a more permanent display. Meaning purity and sweetness, these flowering plants of the coffee family smell delightful. Good enough for Juan Valdez, and good enough for you. Although they are not actually from the lily family, calla lilies are native to the southern parts of Africa where the climate is tropical. 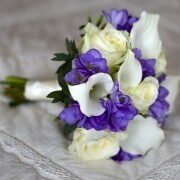 This gorgeous creamy white flower is a perfect addition to a wedding bouquet, and often pops up at funerals as well. 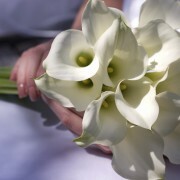 When cared for properly, calla lilies can have a long life as a fresh-cut flower. When not treated well, they have a funeral of their own. These fluffy blooms can last for days and fill out any arrangement with their ample bunches. Native to southern and eastern Asia, they produce flowers that are usually white but can also be blue, red, pink, or purple. Nicknamed “Endless Summer,” these gorgeous blooms are sweetly scented and can also fill out a backyard or a table setting. 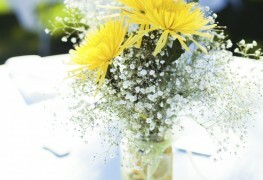 What gorgeous table decorations will grace your wedding reception?